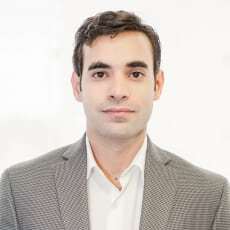 Gregory J Figueroa-Rosario is an associate at Ferraiuoli LLC who works on employment litigation and consulting for employers. He has experience defending companies from employment claims, in the negotiation and enforcement of collective bargaining agreements, and of the employees' representative selection procedure. He participated as a student attorney in the criminal legal aid clinic of the University of Puerto Rico School of Law, gaining additional litigation and advocacy experience.